Ok so, I have a lot of catching up to do. Let’s start with my Friday. My husband and I went to our favorite grocery store – Jungle Jim’s International Farmers Store. This store is a little far from our place (about 45 mins away), but we make sure we do our grocery shopping here at least once a month for our stocks of international goodies. You may have an International market in your area, but maybe nothing like Jungle Jim’s. This is THE place to go. They have just about everything you can imagine. 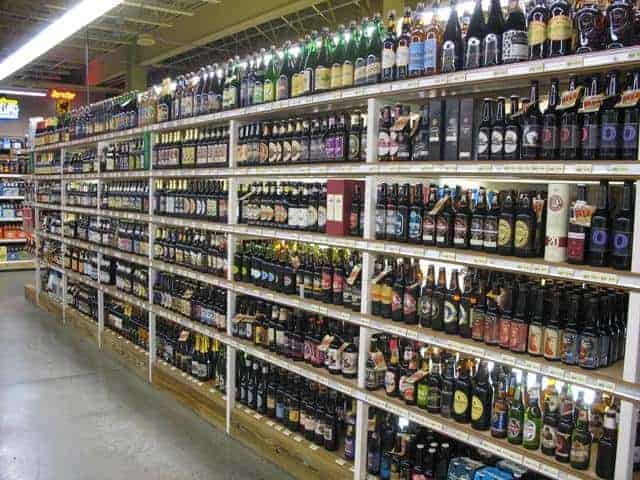 Beer and wine selection are awesome, freshest fruits and veggies, fresh seafood, etc. They have a huge variety of cheese, dips… EVERYTHING. If they don’t have it, then probably it doesn’t exist. We picked up a lot of vegetables & fruits, including cherries. When I picked up the cherries, I also picked up one of these. 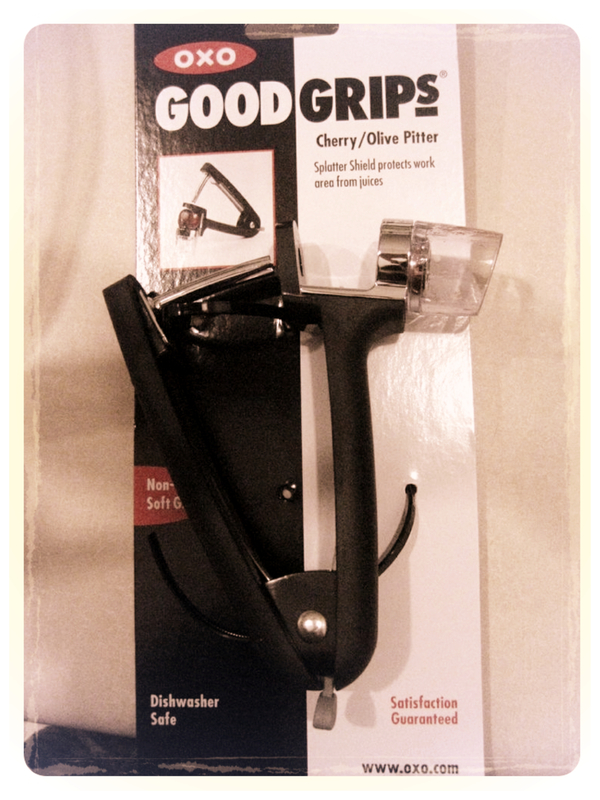 It’s a cherry/olive pitter and it was about $12 at the Kitchen Tools section of the store. I’m sure the pitter will become one of those tools that I’ll seldom use and will simply take up space in our drawer but it was 100% worth the purchase with a bunch of cherries I had to pit. 100% worth it! 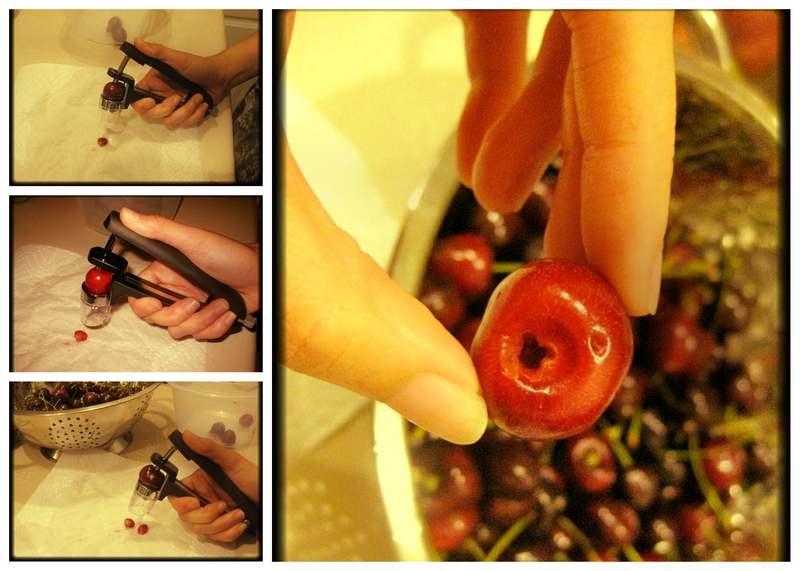 All I had to do was remove the stem and place the cherry in the center of the pitter and squeeze the pitter. I was left with a seedless cherry. 🙂 Pretty cool huh! 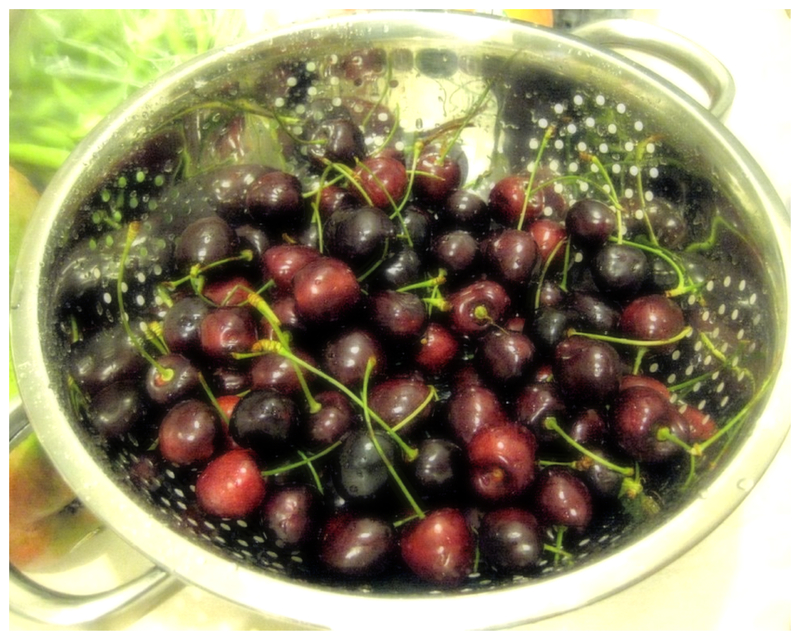 The cherries are now ready to eat or add to my oatmeal for breakfast. So, let’s go ahead to my Saturday. We had a beautiful weather yesterday here in Ohio. I woke up around 7:30 am. Good thing it wasn’t as hot compared to the previous days. 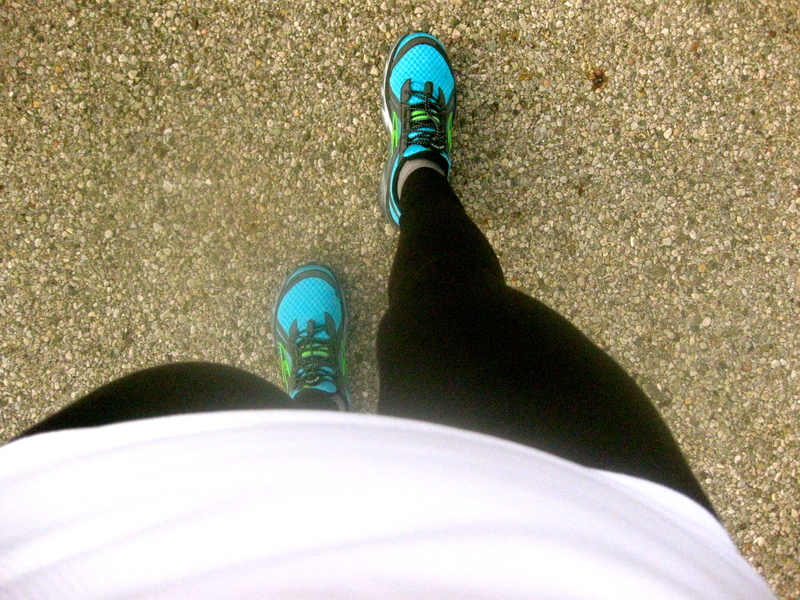 It was actually gloomy yesterday so I went for a 3-mile run around our neighborhood. I always have issues with shoelaces. They are simply too long for my narrow feet. I double tie them, but still dangle too long. So, I ordered Lock Laces online. I immediately tried them on as soon as I got it and the issues are gone! I want my shoes snug on my feet. Since these are stretchy enough, they don’t constrict your feet when you tighten it compared to the original lace. I love it and I’m a happy runner 🙂 Best product since sliced bread. I just also want to share that when running around our neighborhood, I prefer running on the road instead of the sidewalk. Concrete sidewalk is a lot harder on the joints than asphalt (road). After my runs, I love taking a shower with my Stress Relief Aromatherapy Smoothing Body Scrub (from Bath and Body Works). I AM IN LOVE WITH THIS BODY SCRUB! It gives my skin fresh and clean feeling! This is a perfect treat for yourself after a hard workout or run. 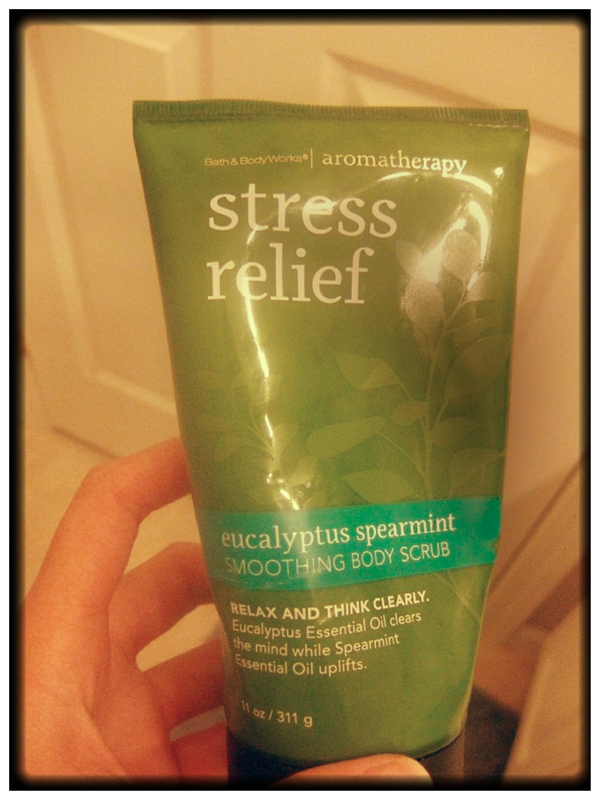 I would highly recommend this product to anyone who loves the smell of Eucalyptus mint. 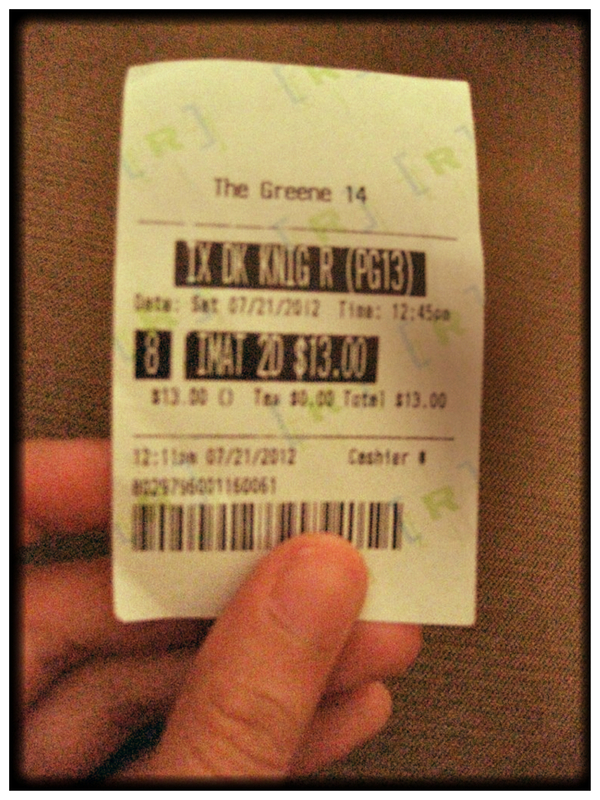 At noon, my husband and I headed to the theater to watch Batman. Don’t worry I’m not going to spoil the movie here with details. All I can say is you have to watch it because you are missing half of your life. It’s really good! It’s surprising that the theater was still packed despite the news about the shooting. My heart goes out to the families who were affected by the shooting in Colorado. After the movie, we headed back home right away. 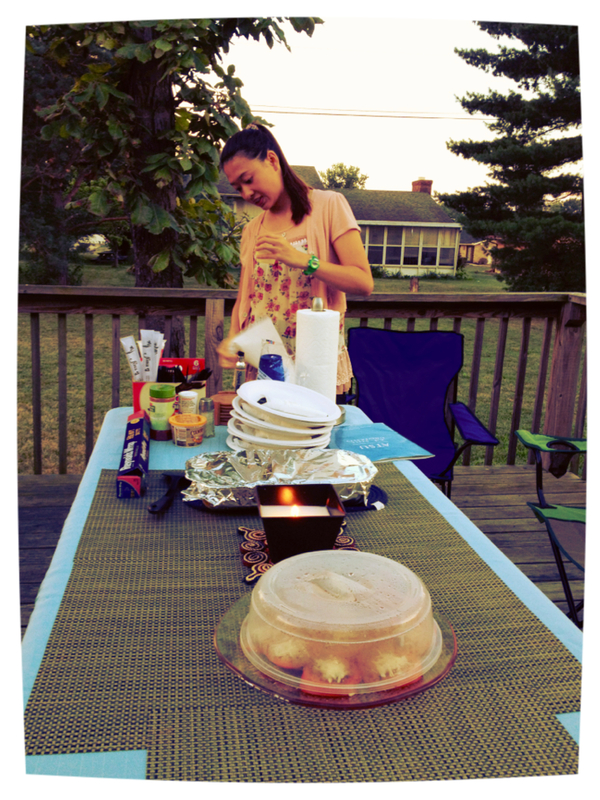 We invited our friends to come over for dinner at our place. I prepared lasagna, garlic bread and tomatoes with basil, mozzarella cheese, drizzled with olive oil and balsamic vinegar. My husband was the designated griller. He is really good at marinating and grilling meats. He grilled some pork, beef, chicken and corn. 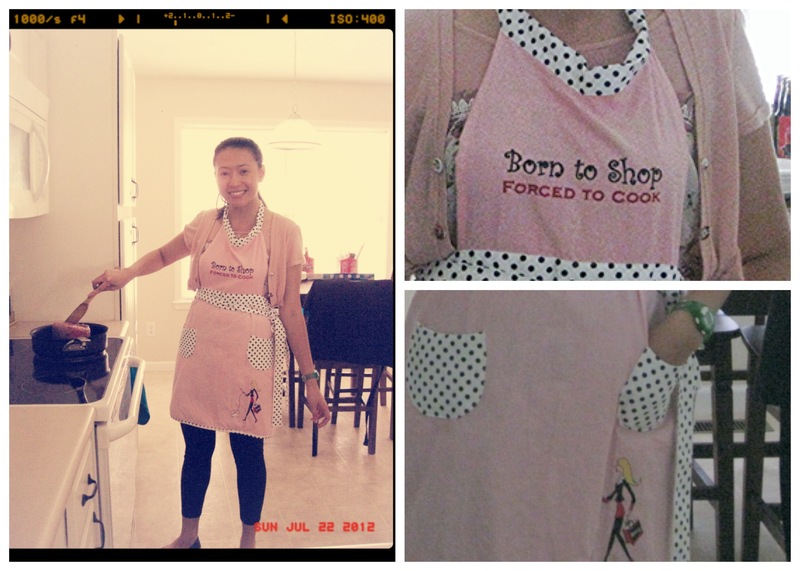 My apron says it all. Lots of lounging around and relaxing in front of our TV today. 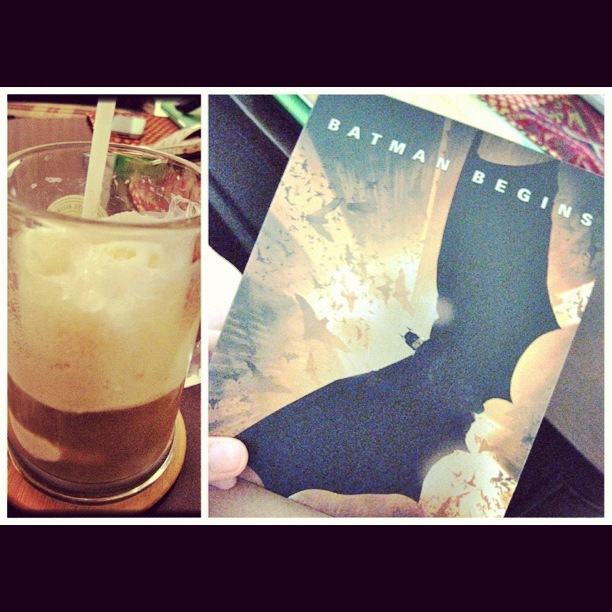 My husband and I still have a little hangover from the Batman movie so we decided to rewatch the first two films, Batman Begins and the Dark Knight. That’s it! Hope you all had a great weekend as much as I did. 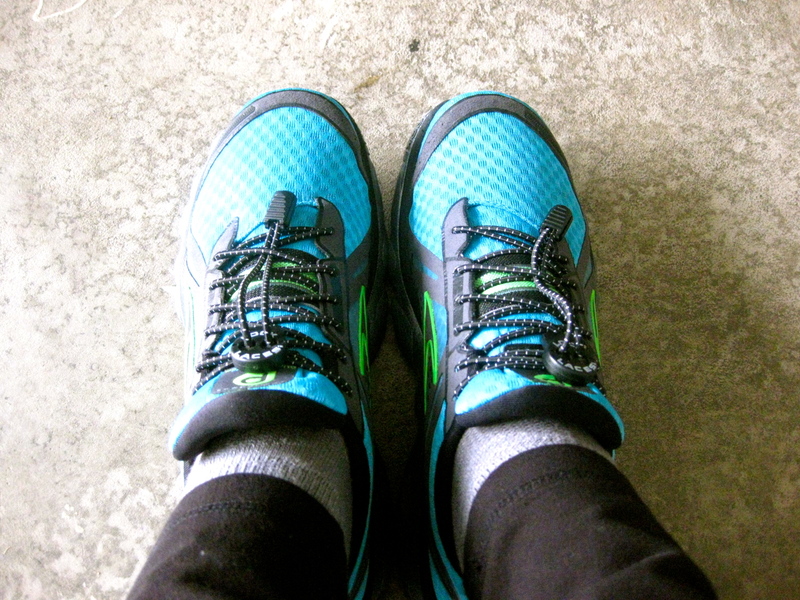 This entry was posted in All About Running, My Everyday Journey, Product Reviews and tagged brooks, Brooks Running, life, runner, running, running blog on July 22, 2012 by Ja @Ja on the RUN.